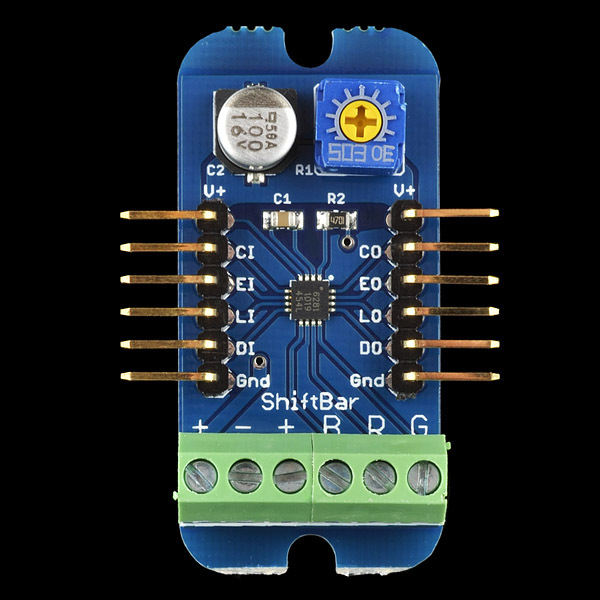 The ShiftBar is a medium-power RGB LED controller, capable of powering three channels of LEDs from 10mA to 150mA and from 5V to 17V. It's ideal for many common-anode RGB LED bars, such as the Satellite Module 001. 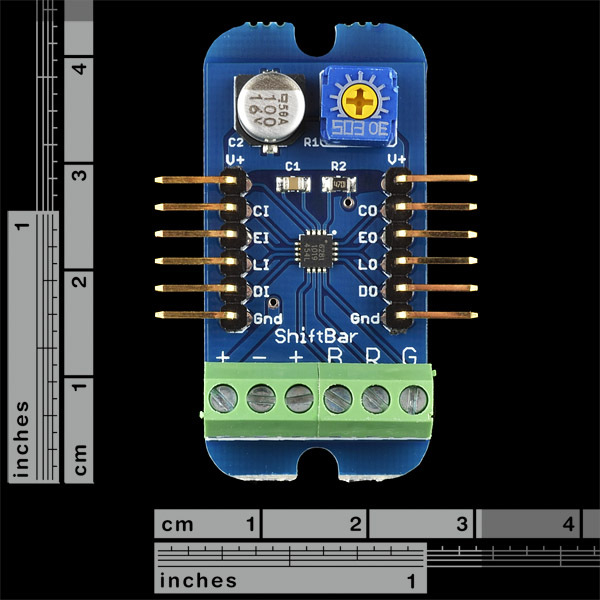 It uses the same A6281 controller as the ShiftBrite, with daisy-chainable SPI communication that is simple to use with any microcontroller. 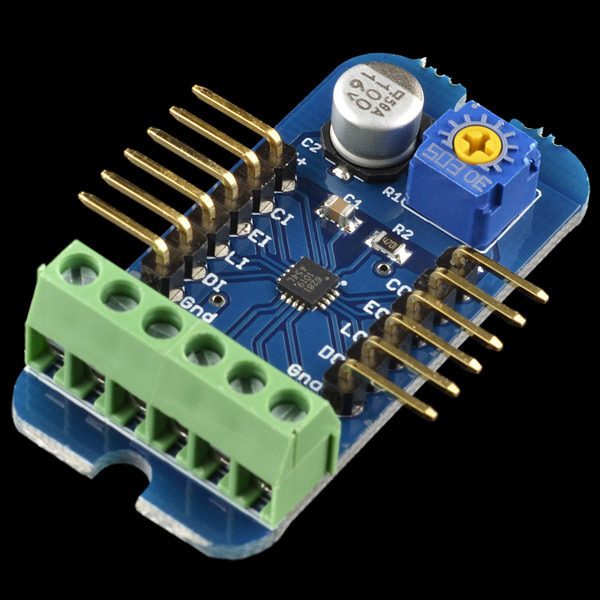 Each channel is controlled with its own 10-bit PWM register and 7-bit current control register. A trim potentiometer allows the user to adjust overall current limiting to any desired maximum. The ShiftBar includes six screw terminal headers for wiring your own LEDs, as well as independent power. 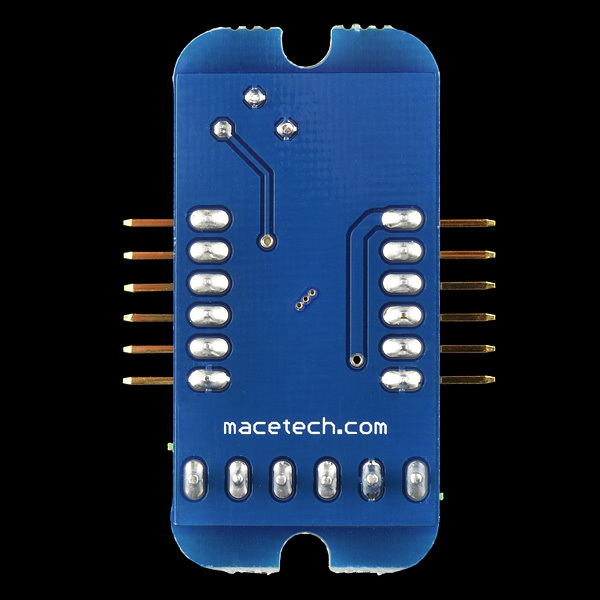 It also has two 6-pin headers that bring power and communications into and out of the device. Chains longer than four ShiftBars at maximum current should have power attached periodically, to counteract voltage drop along the power wires of a long chain.